I found this documentary while browsing the shelves at my local Blockbuster. There was one lone copy hidden among a slew of worthless titles like Bad Teacher and Cowboys and Aliens. This film has more originality and entertainment value than those two movies put together. This film tells the story of Harry Markopolis, who fought a decades long battle to reveal the massive Madoff ponzi scheme. I knew bits and pieces of the story from news coverage. This film provides a many layered look at what happened as told by Markopolis himself. As a fan of documentaries, I know there are only so many ways to present a story like this. You know going in that there is going to be some combination of interviews, dramatizations, special effects, and archival footage. The filmmakers not only found a way to use all of these devices, but they managed to use them in completely original ways. When Markopolis first started to uncover the massive fraud and make regulators aware of what was going on, he was assisted by two other key people. These three were later joined by several others in a quest to bring down Madoff. The filmmakers interviewed these key people at separate times, but they filmed each interview against a black background and used lighting you might expect to see in some old detective interrogation scene. They then used some editing trickery to make it appear as though all of the individuals were being interviewed simultaneously. The camera pans left and right as each person adds to the story. It worked both visually and as an effective means of switching from one interview to the next. The next bit of originality was the use of Markopolis and the others in their own dramatizations. Normally dramatizations are done by actors. But having the actual participants appear and these scenes made them all the more believable. It was as if Markopolis had a documentary team following him around for five years as he tried in vain to bring the fraud to the attention of both regulators and the media. This is a facinating story. Imagine sitting on one of the biggest stories in the world, having documentation proving the validity of your claims, and then not being able to convince anyone to take action. Forbes, Barons, the Wall Street Journal – they all dropped the ball. The SEC, the government agency whose main duty is to protect investors from people like Madoff, not only dropped the ball they couldn’t even pick up the ball to drop. They failed miserably. Rounding out the story were individual stories of investors who lost their life savings. Throw in an original score, some interesting visual effects, and expert editing, and you have a first rate film that tells a compelling story better than all the 200 million dollar John Carter movies Hollywood can pump out. 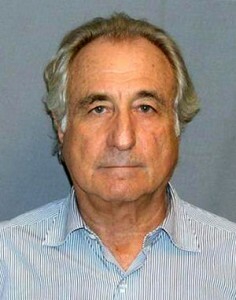 Despite his persistence, It wasn’t Markoplis’s investigation that brought down Madoff. It was the crumbling financial markets and Madoff’s inability to keep it going. His own son turned him in. The film ends with Markopolis testifying before Congress. His six-year-old twins watch him from home. In their eyes their dad is a hero, having stopped a bank robber. Markopolis confesses to the camera that he isn’t a hero. He isn’t Spiderman. He’s just one guy who tried to do the right thing but no one would listen. The DVD also had an audio commentary that I found equally insightful.